Mental Health and More...: Gene Roddenberry Missed His Calling!!!! Star Trek and Mental Health!!! Gene Roddenberry Missed His Calling!!!! Star Trek and Mental Health!!! I had an interesting conversation with a friend and colleague over the weekend. We were traveling from Utah to Denver for a class and while sitting comfortably in our Southwest Airlines seats (this is not a sales pitch for them) we discussed our thoughts and feelings on Star Trek. I know, I know it sounds hokey. I will get to my point why being a Trekky can have many positive aspects to it. I will get to those in a minute, but first I will explain my point-of-view on how Star Trek can have a positive influence on people. I was raised on Star Trek. I remember watching Star Trek: The Motion Picture with my dad as a young boy and finding the idea of trekking through space at warp speed, meeting new people and civilizations to be intriguing, exciting, and educational. Besides, what little boy wouldn’t like to have the capacity to sore through the sky and space in a spaceship—especially the Starship Enterprise? My space fascination continued into adolescence and then adulthood as Star Trek gave way to The Next Generation. I loved this series and still watch the re-runs. 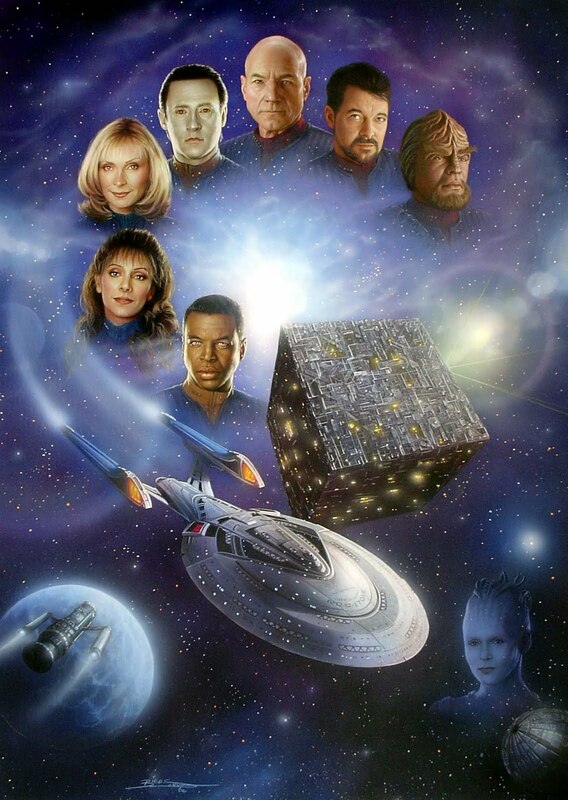 You can imagine my excitement when the new Star Trek movie came out in 2009, with a whole new set of actors and ideas. Oh, how the boyhood space-aged fantasies were re-awakened! I recall that year perusing the internet for information on the movie, when one day I came across a website (that I cannot recall) that talked about the ideas of Star Trek—i.e. seeking out new life and civilizations; boldly going where no one had gone before; living the Prime Directive; bettering oneself just for the sake of betterment. While reviewing it, I came across an excerpt from the comment section. It was a man who said he was a police officer in Los Angeles (or one of the large cities in California). He said that coming home at night and watching Star Trek: The Next Generation renewed his sense of hope in people and society. He described how his job at times could dishearten his ideas on who people were, and that the ideas of Star Trek rejuvenated him. I could relate to that to an extent with the sense of therapeutic burnout always looming over my head. I’ve found that I look for things that rebuild my sense of hope, just as this man. Now, coming back to the present, my friend/colleague and I revisited the idea of Star Trek. I expressed, somewhat embarrassingly that I found the ideas attractive; though I know they were not attainable any time soon (possibly even farfetched). I was pleased when he expressed the same sentiment. But, now as I sit writing, I wonder if it is NOT impossible. I know that is a double-negative and I placed it there on purpose. Society is not ready for a place like the United Federation of Planets where there is no concept of money, poverty, or inequality, etc. Where people can learn and better themselves how, where, and in whatever manner they wish. BUT, what are we doing in our own homes or with ourselves to make our own little relative world peaceful in such a manner? I watch many people in the helping profession trying to change the world, but I would ask, what are you doing with yourself? Are you living what you preach? Are you teaching your children and those around you how to live the way you feel the world should be? Are you meeting resistance with your own resistance when you feel that peaceful resolution should be the road? I know that in my own little Universe (i.e. home) that when I am trying to focus my attention on bettering my children or even my wife, my efforts can become self-serving and be met with resistance and unhappiness. But, if I am focusing on my own actions and on how my moods, behaviors, and examples are being seen by my children…and I am trying to better myself for the sake of betterment…my children follow suit, my home is peaceful, and my Universe is no longer in upheaval. A lot can be learned from watching an episode or two of Star Trek. Try it out!